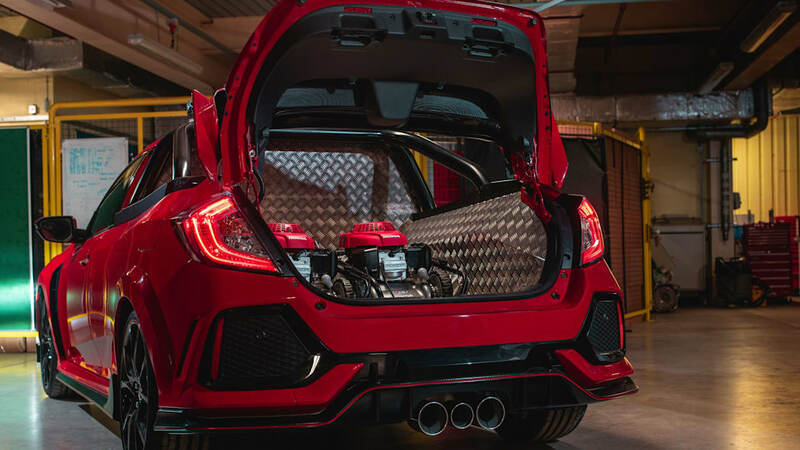 Following in the footsteps of BMW's custom M3 pickup trucks, engineers at Honda's Civic hatchback factory in the U.K. built their own high-performance pickup out of a 2018 Honda Civic Type R. The car is just as absurd as you would hope. The roof from behind the B-pillars has been chopped out to create a truck bed, one filled with diamond-pattern steel. The engineers managed to retain the curves of the original sheet metal, and shaped the tops of the bed sides to mirror them. The rear wing also sticks around on the tailgate. What's funny is that the tailgate doesn't drop down like on a conventional truck. Instead, it lifts open like a trunk. In addition to the wing, the Type R pickup also gets a sport bar, and in true truck fashion, it has auxiliary lights mounted to it. And in the bed, there are a couple of Honda generators for running everything from power tools to tailgate party equipment. 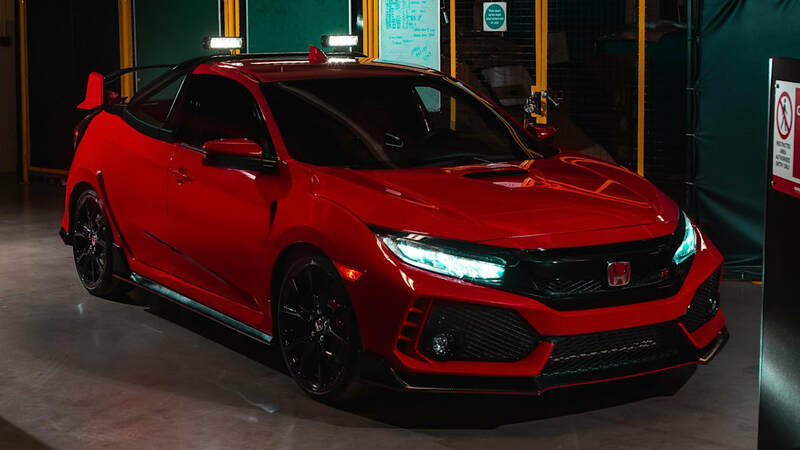 Honda says the truck retains all the performance of the Type R hatchback. Under the hood is the same 306-horsepower four-cylinder, and it's claimed to be capable of a top speed of over 165 mph. 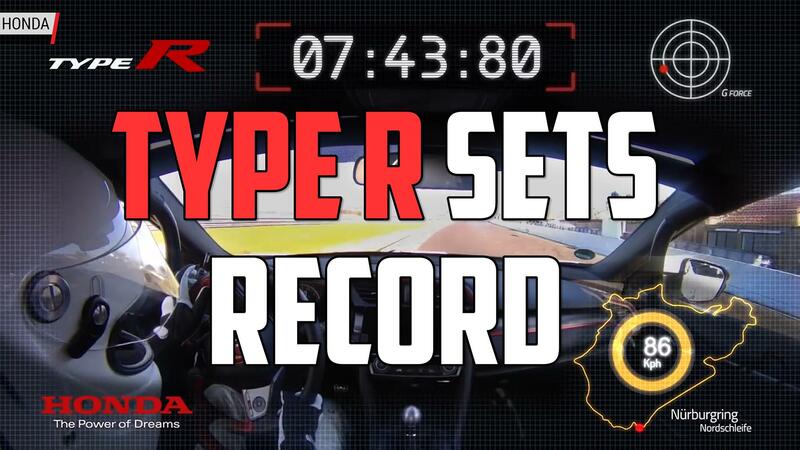 All of the Type R's driving modes are available, too. 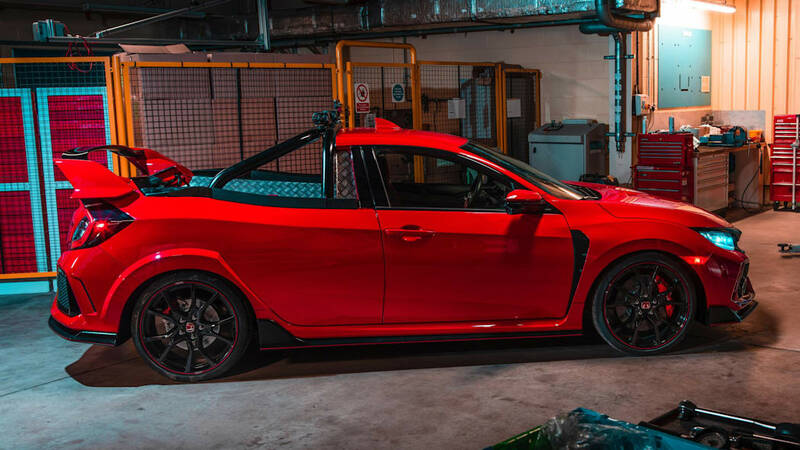 Because of its performance credentials, the project lead for the pickup said that they're considering taking the truck to the Nürburgring in hopes of setting a front-drive pickup truck record. To that we say, "Do it! Do it now! Why aren't you there already?!" 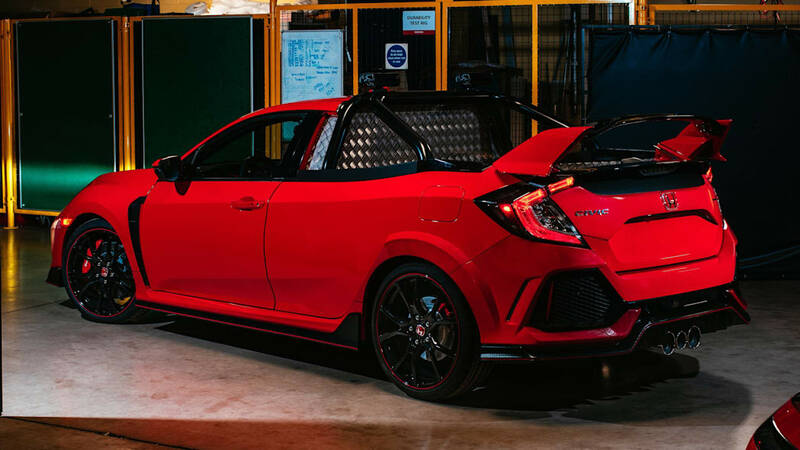 As fascinating as the Civic Type R truck is, you won't be seeing it next to a Ridgeline anytime soon. Honda made it clear that the truck is a one-off not meant for production. One of our aesthetes here at the office was relieved to know there won't be any more, but at least one other of our editors is now pining for a small, sporty pickup truck of some sort.